Reuters launches a new live video service for broadcasters. New York, October 2017: Reuters, the world’s largest international multimedia news provider, has launched a new live video service providing real-time coverage of up to six concurrent news events for use by television broadcasters and professional video publishers. 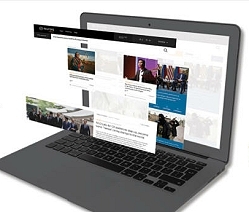 Available via the Reuters Connect platform for media publishers – which now features access to more than 13 million photos, videos, graphics and text assets – the new service is designed to integrate with both digital and broadcast production workflows, allowing publishers to stream live coverage to television, websites and social media platforms from one simple, easy-to-use source.